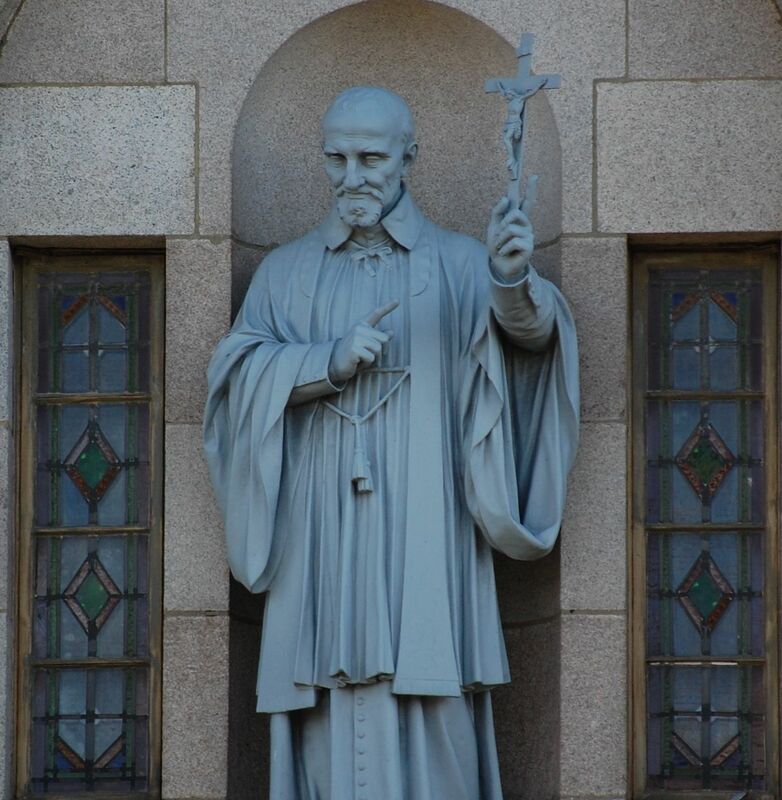 St. Vincent dePaul is founder of the Vincentians Catholic religious order. A peasant from birth, he chose the priesthood to make something of his life and succeeded in reaching the highest levels of society through his charm and social skills. 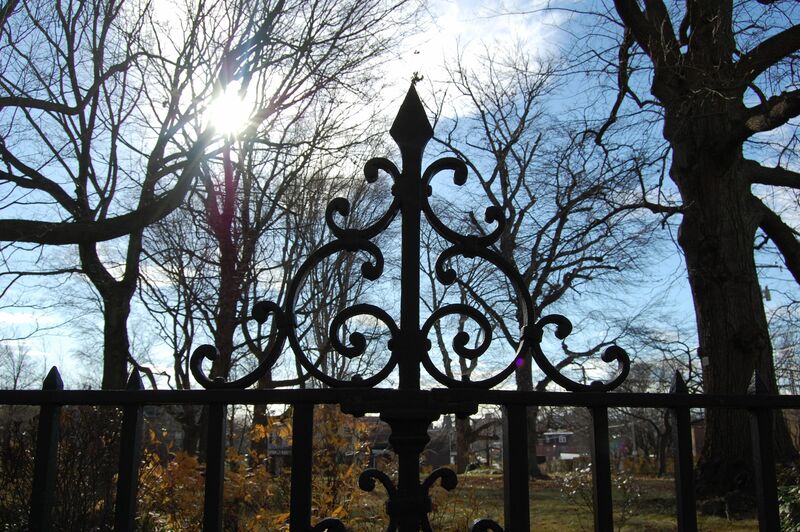 A turning point came in midleife when he heard the dying confession of a peasant and determined afterward to devote his life to serving the poor. 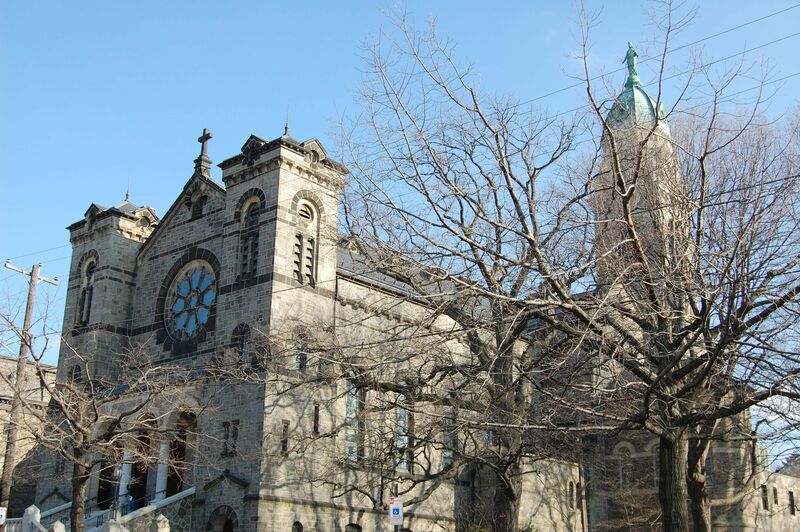 The Vincentians operate The Miraculous Medal in Germantown, Pennsylvania which is a suburb of Philadelphia. 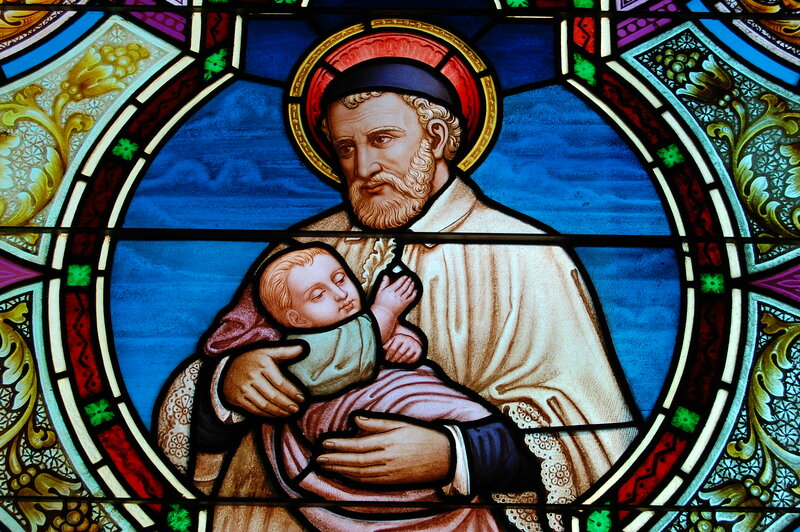 Along with St. Loiuse de Maillac, Vincent founded the Daughters of Charity to serve the poor and sick. They have a presence in Germantown PA today. 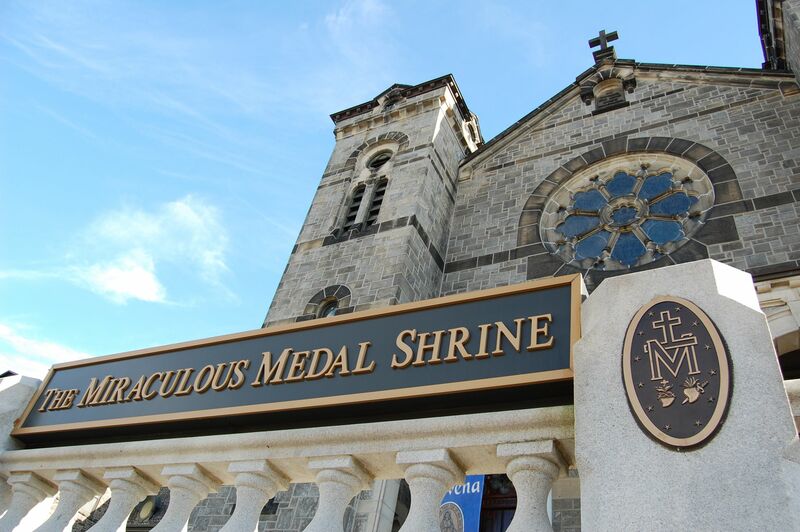 A view of the Miraculous Medal Shrine in Germantown Pennsylvania, a suburb of Philadelphia. Vincent icon in front of St. Vincent’s Seminary building, which is next to the Miraculous Medal Shrine they operate. Vincent died on September 27, 1660 at the age of eighty. He was later named patron of all charitable societies. Sources: Blessed Among Us/Give Us This Day Daily Prayer Guide. 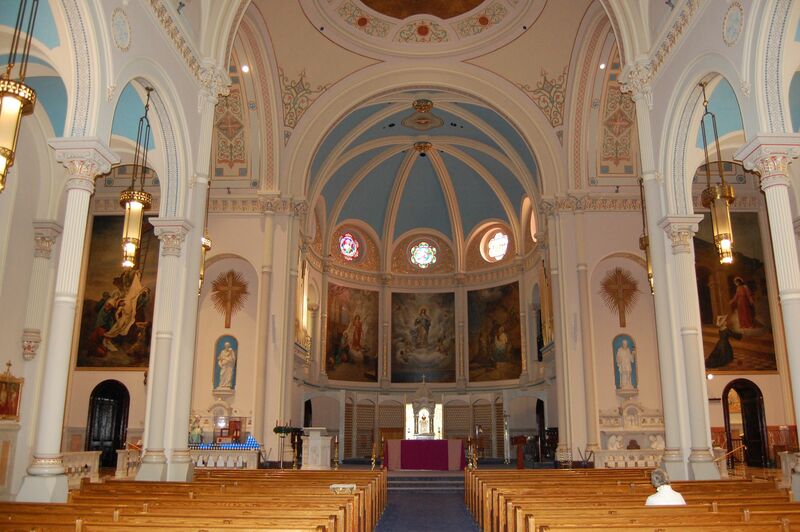 Inside the Miraculous Medal Shrine. 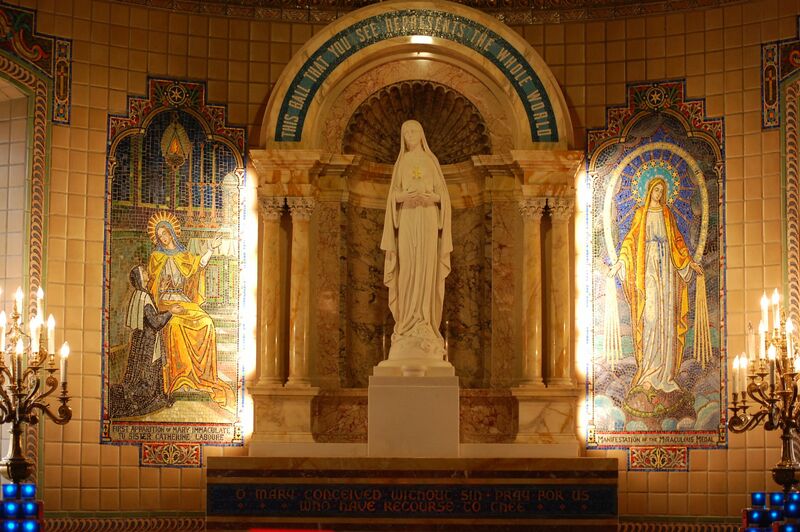 Inside the Lower Level Shrine – The Virgo Potens.